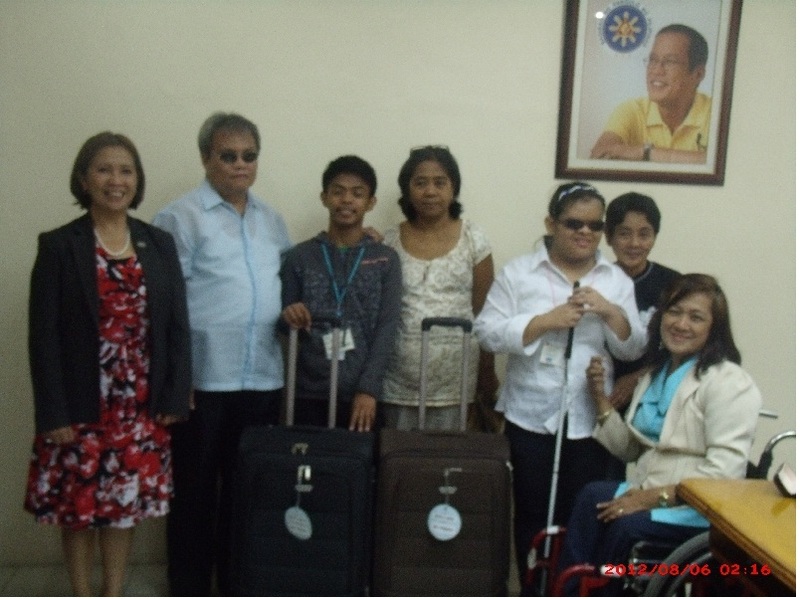 2 Pinoy Scholars eagerly begin their Life-changing Year in Washington D.C. Rocel Sison of the Philippine National School for the Blind and Jene Boy Deculing of Isabela school for the Deaf, join exchange students from all over the world on their orientation prior to placements for 1 year, in respective schools and foster families in California and Arizona. NCDA-AFS Intercultural Philippines ‘Maleta’ Turnover. Executive Director Carmen Reyes-Zubiaga and DED Matt Lee, Jr. with Americal Field Service – Intercultural Programs Philippines (AFS-IPP) Volunteer Development Manager Beth Eduave, turn over traditional token suitcases to the young scholars joined by their parents, mentors,returning scholars and Council staff.